I am going to keep this short and sweet and enlighten some of you on three very common grammar blips that I keep seeing lately … grammar you groan, but pay attention, it might help you. Technically, the ellipsis should be used to show an omission of information and there should always be a space between the first and the last dots (see what I’ve done in the title here). If the omission is at the end of the sentence, if you’re quoting something but not finishing it, then you also include a stop as well. The first shows part of a missing quote, the second that there is also more to the quote and the sentence ends, hence the 4th one. 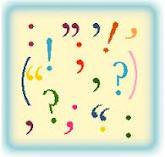 Don’t write ‘Writers should always get to grips with grammar…use ellipses wisely’ with no spaces! “… and furthermore be careful with en-dashes and em-dashes.” Incorrect. Use “furthermore be careful” and so on. Or “Well …” to show speech trailing off. Some do not use spaces but technically you should although typesetters will correct at the time of publication. But here’s the biggie, how do you make your ellipses on your pc? Three full stops? Wrong. Here is the correct way : Space control-alt-fullstop space. Try it! And really to show dialogue trailing off, you ought to use a dash (never a hyphen!). Hyphens (on your keyboard) only have 2 uses: to break a word that goes onto the next line (not needed in Word but when books are typeset) or for double-barrelled names, joining words 13-year-olds. The age range is 12-13 … incorrect. The age range is 12 – 13 … correct, and spaces are advised. This is an en-dash. 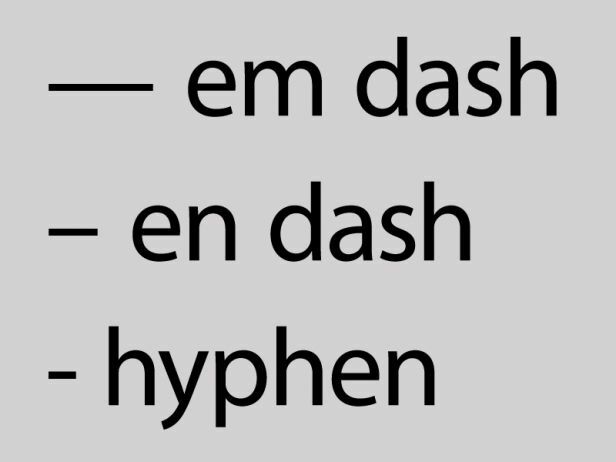 Type: word, space, 1 (or 2 works the same) hyphens, word, space — and the en-dash is created. The en-dash is the width of an ‘n’. It usually is used for lists – word, word, word and ranges from 16 – 17. For interrupted speech, rather than an ellipsis, it ought to be an em-dash. This is the width of an ‘m’. He was so anxious about his results—and why wouldn’t he be, given his class average—he forgot to walk the dog. How do you make them? Word, two hyphens, word, space and it turns it into one! Here there are usually no spaces. There are exceptions and you won’t get rejected for getting it wrong, but if you can — get it right!